"Id" is the unique widget ID that represents this webcam recorder and should be saved under the Global Vars keyword "webcamUpload". "Name" and "Description" fields can be filled to help us identify the webcam. You should fill in the maximum length, in seconds a user can record for in the "Recording Length" field. 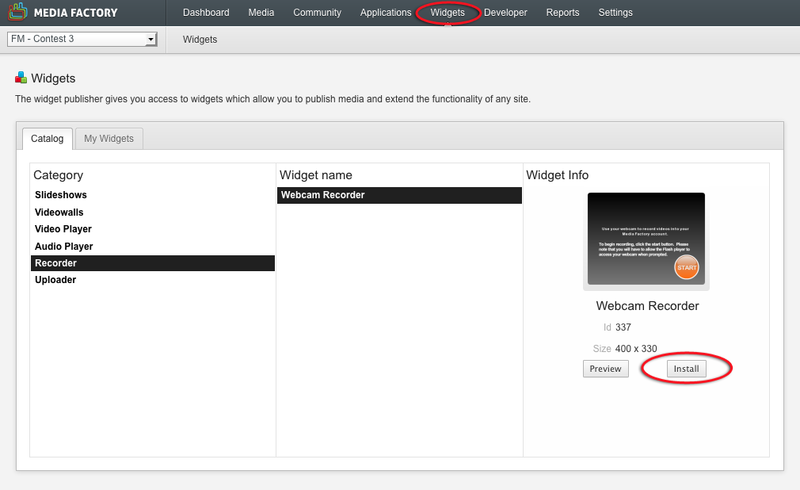 The "Channel" option, if not checked will always prompt the user to select the channel they wish to upload their recording to. Usually, this option should be checked and you should select the "Entries" channel in the list below. You can select the page a user is redirected to after they finish recording. Usually this should be set to "/uploadcomplete". 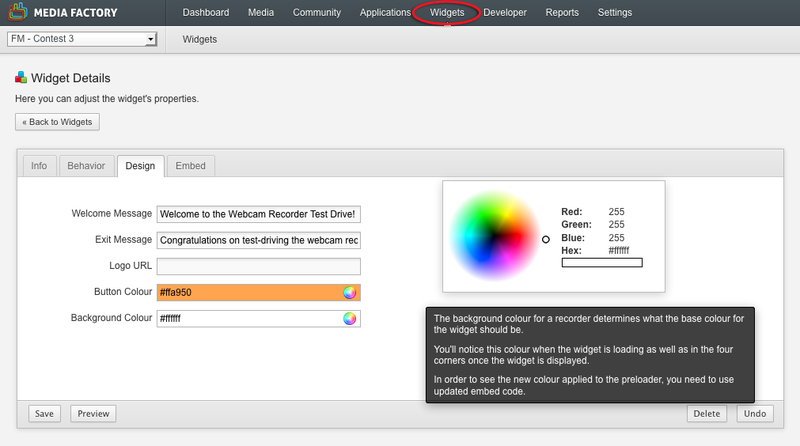 Here you can enter the "Welcome and Exit messages" that should appear when the user lands on the webcam recorder page, and when they are done with the recording respectively. If you want to display your company's logo on the welcome screen of the recorder, paste the logo's absolute URL in the "Logo URL" field. The "Button colour" and "Background Colour" allow you to customize the colours used on the widget. You can select a colour by clicking on the small circle inside the text field and then by clicking anywhere on the colour selector. You can copy the code from the "STL Embed code" text-area and paste it anywhere on the site you wish to render the webcam recorder. Be the first to comment on Webcam Recorder.